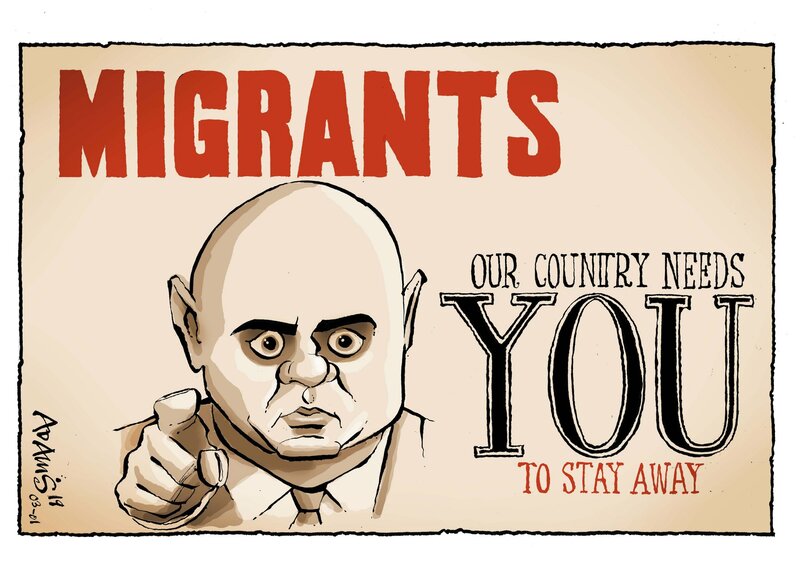 Since the Brexit campaign began and 52% of the British public voted to leave the EU, it’s been difficult not to be struck by the amount of ‘anti-immigrant’ sentiment rearing its head in the UK. The event described above is sadly not an isolated one. Recent government figures show that between March 2017 and March 2018, the number of hate crimes reported to the police rose by 17%. This amounts to almost 95,000 reported hate crimes, of which around three-quarters were racially motivated. Paradoxically, this intolerant climate might have a silver lining. It could provide a huge opportunity for businesses that espouse liberal, cosmopolitan, progressive values to make bold statements about inclusion. To say to their audiences - loud and clear - that they value and care about minority groups. When government and a large section of civil society seeks to sow division and erect walls, the corporate sector could step into the breach, be a strong voice for inclusion, and build bridges. This is not ‘opportunism’. It is genuine corporate social responsibility, when it matters most. In the context of widespread feelings of rejection, being told one is respected and wanted is a very powerful message - one that will not be forgotten. It’s a sure way to foster long-term loyalty and trigger positive word of mouth amongst consumers from minority groups. It is also, quite simply, the right thing to do. Of course to be truly credible, any message - about inclusion or anything else - needs to resonate with the concerns of diverse consumers and liberal citizens, whilst also feeling rooted in the history of each brand, and aligned with its current reputation. Otherwise, charges of tokenism will rightly be mounted and reinforce the feeling of exclusion for these communities. What matters right now is for businesses to realise the scope they have to intervene and carve out a positive space in the fraught debate about immigration and in the context of Brexit. Urgently. Business has an important role to play in creating a less divisive society. This is not a short-term success strategy. This is also about future-proofing businesses and readying them for a globalised, multicultural world. In the UK, every ethnic minority group has a median age which is well below that of the White British population, and most communities have a birth rate that is higher than that of White British people. In other words, tomorrow’s consumers will inevitably be more diverse - this is a social, political and business reality that cannot be ignored. Beyond the change in demographic size, there are growing expectations among people from all minority groups that their various, overlapping and sometimes conflicting identities should be recognised by brands. Embracing diversity and inclusion is not a ‘niche’ concern either. It is a mindset that is certain to appeal to the vast majority of younger people. Why? Successive waves of the British Social Attitudes survey show that people aged 18-49, regardless of ethnic group, are much more accepting of diversity, and much less concerned about people’s ethnicity, religious beliefs or sexual orientation than older people. In fact, they almost take diversity for granted - and expect the government, the media, brands and employers to reflect and positively embrace the diversity of modern Britain. Many consider inclusion to be a shorthand for being modern and progressive and, conversely, a lack of diversity to be a sign of staleness and colloquialism. Equally relevant, younger people do not believe that the state is able to solve many social problems. Younger generations have become increasingly socially and economically liberal: they expect businesses to play significant social roles. So in these troubled times, brands that take diversity and inclusion seriously will not only attract minority consumers; they will also increase their appeal for younger people in general. This means that diversity is not just a ‘box-ticking exercise’ – it’s a core strategic priority. Versiti are experts at understanding the fast-changing ways in which minority identities cohere with certain cultural values, political leanings, forms of economic participation, hobbies and interests, family structures and media consumption patterns, among others. Most recently we helped Channel 4 understand what diversity truly means to their audience, and how they felt about the portrayal and representation of people like them. If you need help understand how big the opportunity is, or want to know how you should be engaging diverse groups of the modern British society, why not get in touch today.